Once the embarrassment of Italy, this is now the jewel in its crown. Steeped in history, this is possibly the world’s longest living civilisation, having been occupied since the Paleolithic era. In the 1950s this place had an open sewer running through the streets; Matera was a problem but now it’s a symbol of hope, beauty and strength. It truly is an inspirational place to be. Accommodation here is in caves. We stayed at Le Dodici Lune which has a display in reception of how this hotel looked just a few years ago and it is remarkable how far this place has come in such a short time. Our room was very large and was comfortable although you do have the slightly damp feeling when you’re there as you are staying in a cave after all! This hotel has a wonderful restaurant which sits in the sunken courtyard. 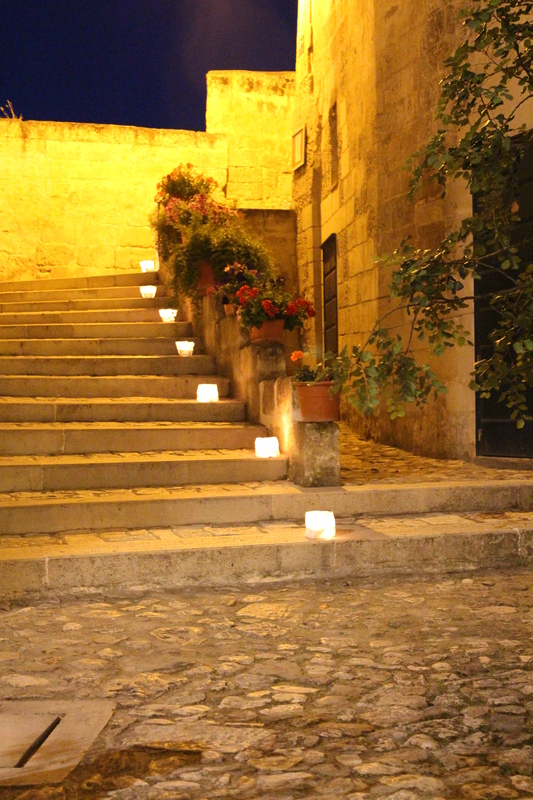 Candles line the stairway up to the passing pathways making this a romantic place to dine. Many visitors just pass by and you could probably get a feel for the place on a day trip. We spent 3 nights here exploring and it was a great decision as we felt a part of Matera and enveloped by its hospitality by the time we left. Do away with all maps…..you will not be able to use them here. Streets are alleys which merge and wind up, down and around. You will feel lost without a map in this maze but be patient and you will soon learn your way around. You have to remember that the cathedral is the centre and at the top of the sissi and then just let your feet wander and explore the delights of Matera. 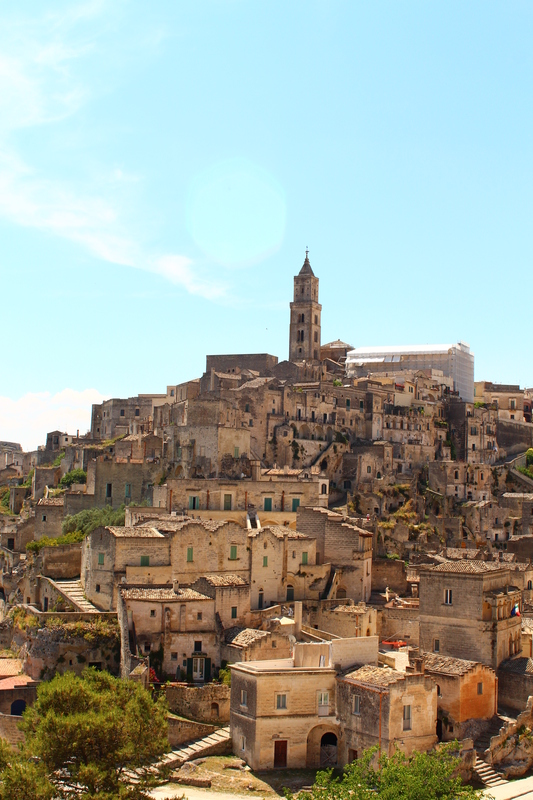 One discovery I made which sounds obvious now I write this is that I expected Matera to be the sassi and so it was a bit of a shock to arrive to the busiest city we’d encountered on our trip and a bit of an alarm clock to our living dream. However, once we’d found our way to the sassi, we discovered the beauty and peace that existed within. A big tip for those staying here is to bring a small case. 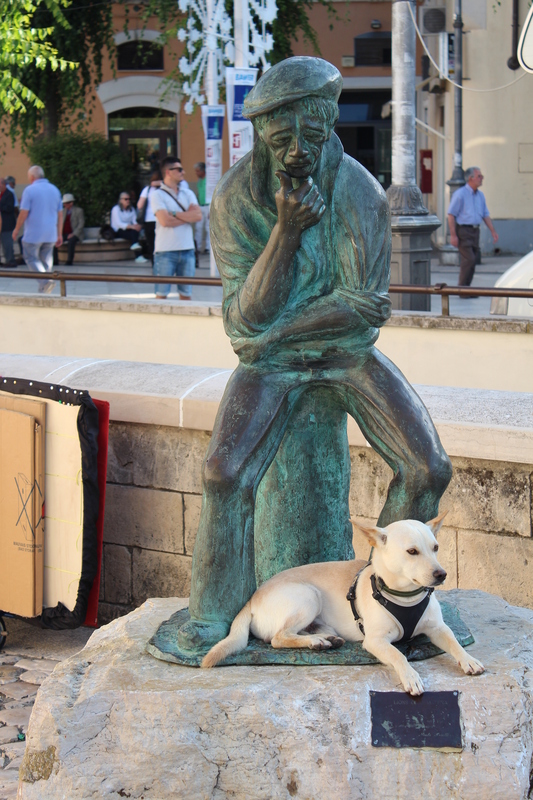 I had travelled with a large suitcase and a small carry on suitcase and before leaving Maratea, I had transferred all my things for our 3 night stay into the smaller case. This makes a big difference if you are staying anywhere other than the hotels just off the main street (‘ground’ level). Also, take shoes with excellent grip and do away with heels for evenings as this place is super slippy underfoot due to the well worn limestone. The best way to start your stay or your day trip here is to take a tour. 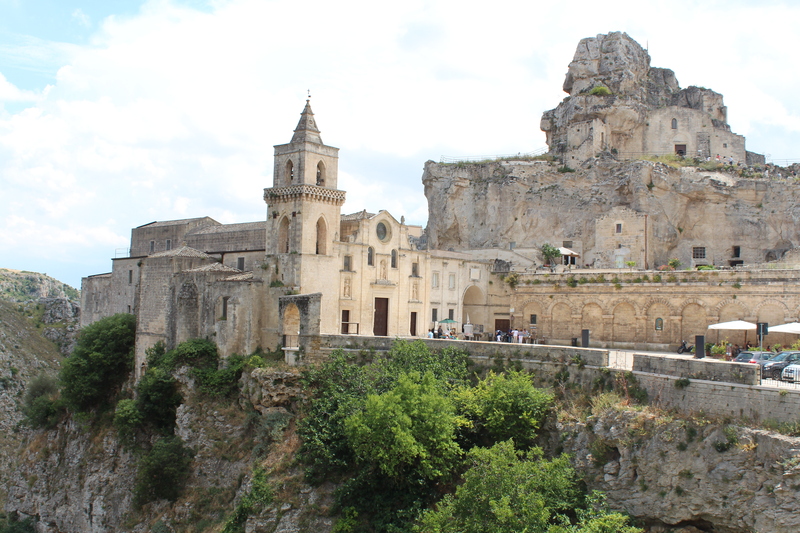 One of the best tours we have ever had was here in Matera. A husband and wife team run tours in English and Italian with great skill, knowledge and energy. 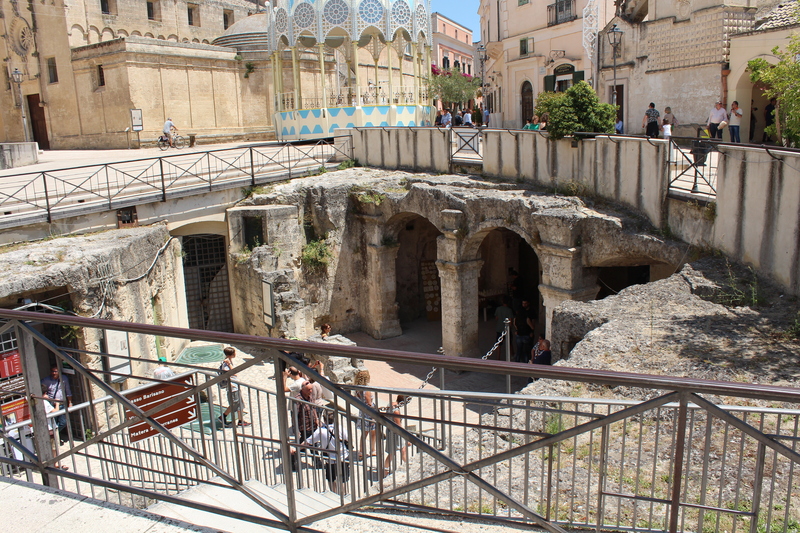 Learn about the history of the area, the architecture and hidden symbolism with Matera Tour Guide. 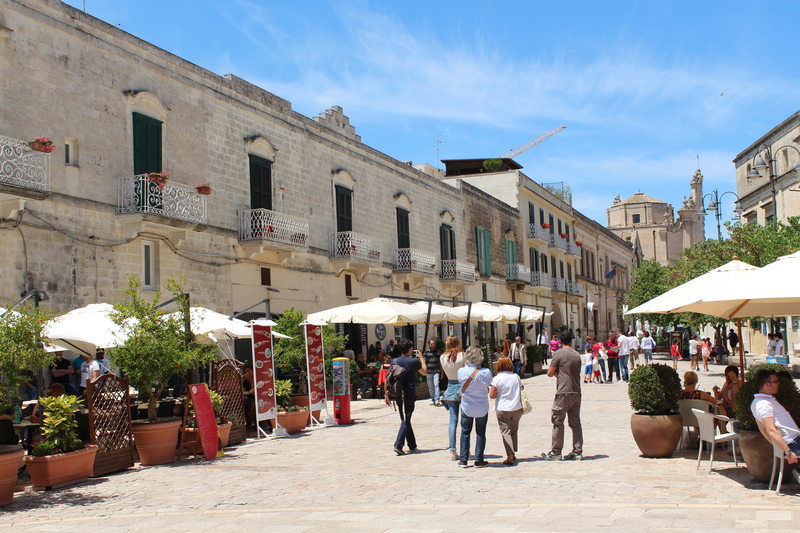 I would also suggest a visit to Casa Noha at the start of your time in Matera which gives you a great understanding of its history. This is located not far from the Cathedral but is not necessarily the easiest place to find. 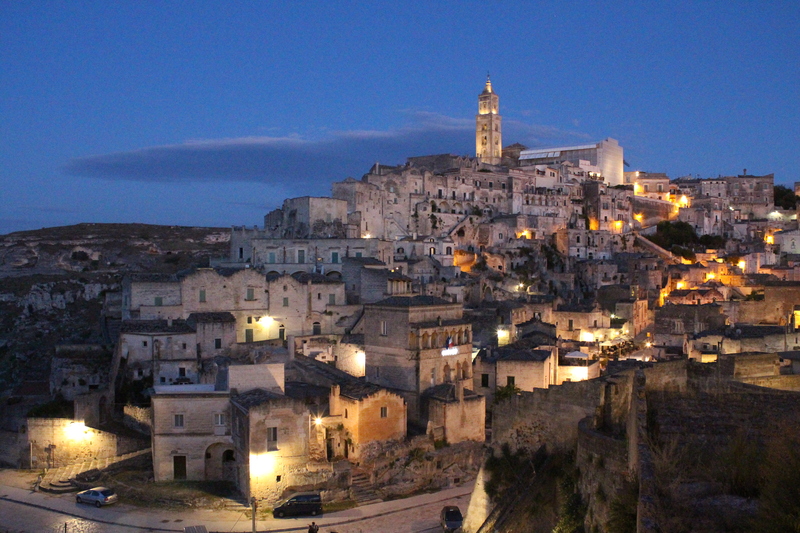 Matera is the setting for many films, most famously, The Passion of the Christ. Explore the Madonna delle Virtu and see the Monastery where Mel Gibson chose to film. This is one of the most interesting spots as it’s hidden away on the outer part of the sassi and has various levels to explore. Don’t miss Casa Gotta (a reconstructed cave house), La Raccolta (a remarkable water filtration system and now a UNESCO site) and the churches Santa Maria de Idris, San Pietro Barisano and Santa Lucia Alle Malve. 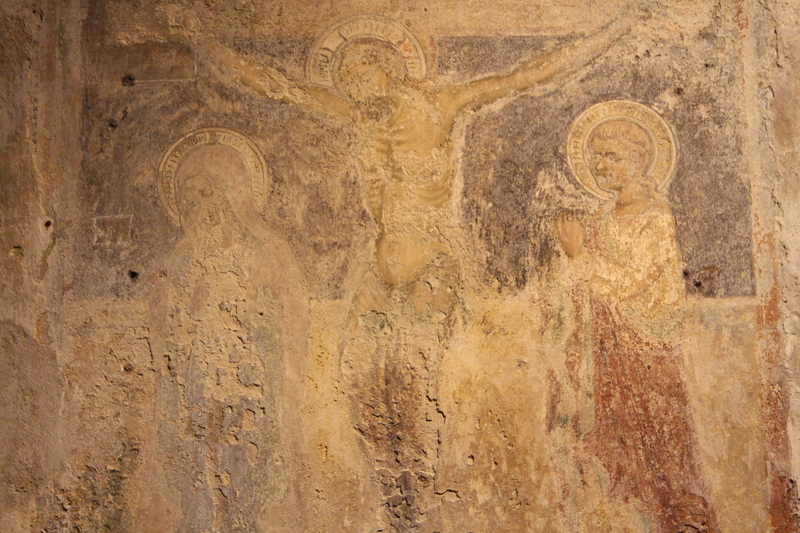 Possibly the most famous of the churches is that set in one of the squares near to the ‘main road’ through the sassi, Chiesa dei Santi Pietro e Paolo al Sasso Caveoso. We never usually return to the same place to dine twice as we like to make the most of the experiences whilst staying somewhere. However, Malatesta’s hypnotic trance had us returning for a second night. On our first night, a guest stood up and treated us to an hour of opera and on our second night, we met a lovely group of Finnish artists. The food was plentiful, home cooked and served with a genuineness you will struggle to find elsewhere. 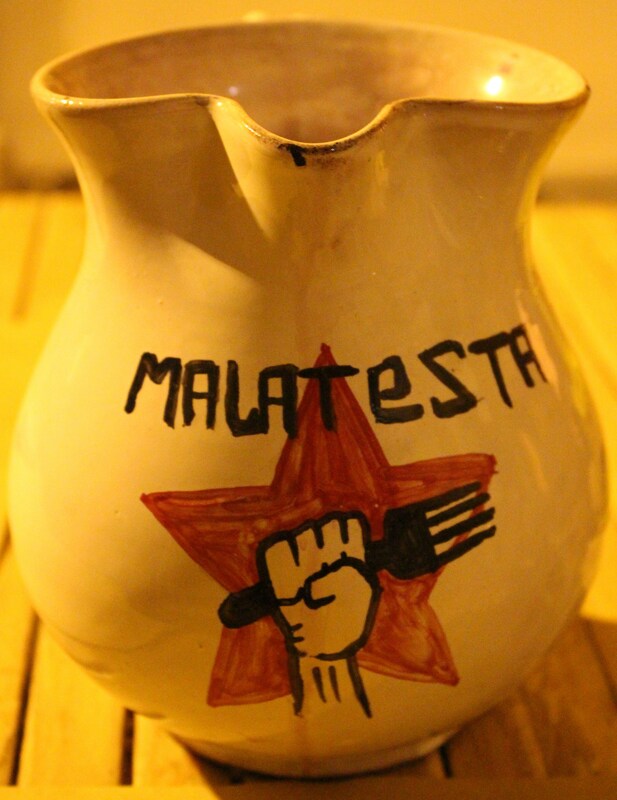 This place lives in the moment and is open to all, a real taste of Matera. This entry was posted in Europe and tagged historical italy, italy, Matera, Matera tour guide, places to stay matera, restaurants matera by My Travel Genie. Bookmark the permalink.